Anybody who has shopped for a water ionizer is familiar with the high price of the kangen water machine®. The kangen® system costs about twice as much as competing water ionizers, and anyone considering buying the kangen® system has the right to know why. Call 415-203-5519 with any questions. I am your LifeIonizer Dealer for the Bay Area, ask about my Discount Codes. I have the best Lifeionizer prices! Compare here the kangen water machine® to other top brands and see how much you could save! The Kangen system comes with 7 plates and 230 watts of power. Compared to other brands of water ionizer, that makes the kangen® system a mid-grade ionizer. Competing high end ionizers come with 9 plates, and over 300 watts of power. 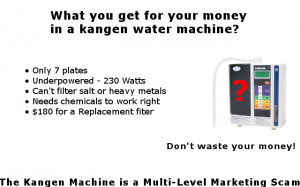 So if you buy a kangen machine®, you pay twice as much for less power and plates. Some try to justify the kangen machine’s exorbitant price by suggesting the kangen machine has better plates. However, the company that makes the kangen machine (Enagic®) admits that the kangen machine® can destroy its own plates! The kangen® system can destroy its plates because it needs chemical additives to work right. One of those chemicals (an acid) corrodes the platinum on the kangen® system’s plates, and exposes the titanium underneath. So if you buy a kangen machine®, beware of the fact that you could be exposed to toxic titanium! FACT: The plates in the Enagic water machine® can be destroyed by normal use. The kangen machine® uses a single filter, where competing systems have two or more filters. According to Enagic’s® website; the single filter used in the kangen machine® is inadequate, it isn’t able to remove metals and salt from the water produced by the machine. So if you buy a kangen water machine® beware of the fact that it may not be able to remove all of the toxins found in your water. 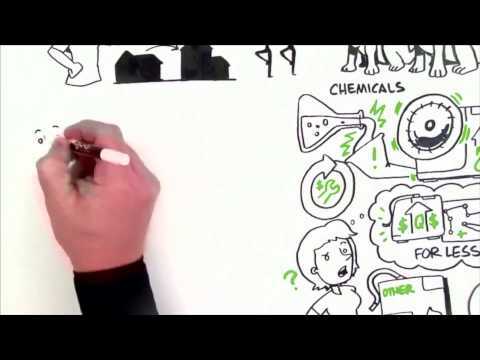 FACT: The kangen water ionizers® cannot remove salt or heavy metals from water. The kangen water machine® uses obsolete technology, and it’s weaker than competing systems. So the question remains: What are you paying for when you buy a kangen water machine®? Eight sales people get paid a commission for every one machine sold! Even the replacement filter for the kangen machine® is expensive. It costs more than twice what you would pay to get filters for any other brand of water ionizer! The bottom line is, the kangen water machine® is a rip off, and it costs way too much for a mid-grade ionizer with obsolete technology. This entry was posted in h2oforhealth Blog and tagged compare water ionizers, kangen water, kangen water prices, kangen water scam by theadmin. Bookmark the permalink.